Wintertime strikes me as a very challenging time to keep some of the most popular New Year’s resolutions. With the shorter amount of daylight and cold weather, I am not feeling very ambitious. If I had made a resolution to write a new blog every week, I might not succeed. Now if I had made a resolution to go to bed earlier, that might end up working out. But I haven’t made any resolutions. I have decided to switch to Spring Resolutions. Anytime can be the right time to commit to restoring health or renewing your life. I know the seasons affect me in meaningful ways, and I will use that knowledge to make more satisfying goals for myself. To let the rising energy I feel during the spring to remind me to commit to my health. So I will see you in 3 months for a spring cleanse. I have been really enjoying watching all the varieties of bees and butterflies in our garden this year. 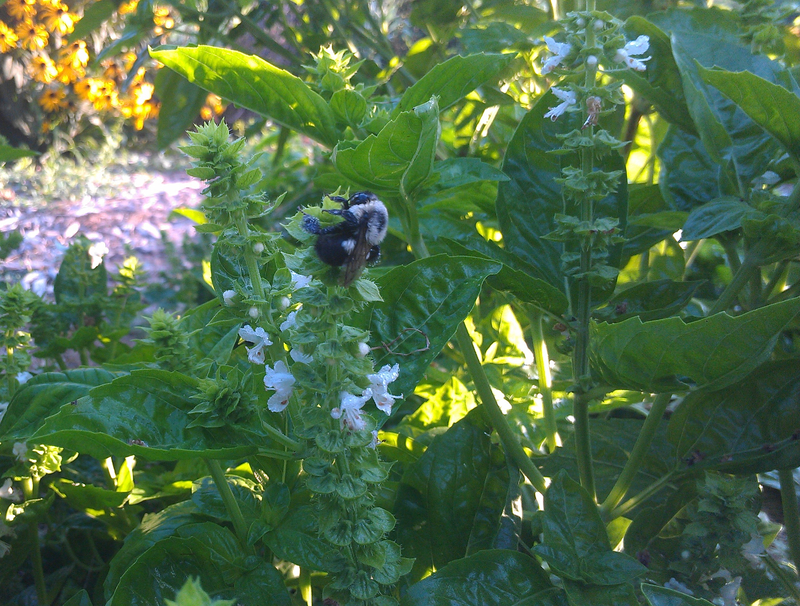 When our catnip was blooming, I swear the entire hive that lives in one of our trees was collecting nectar from it. I feel a pure delight just from knowing that we are creating a happy home for them on our farm. And we know that we have all of the pollinators we need to keep our crops producing. As I plant my fall garden, I am going to continue to keep the bees in mind. There are many plants that I love that also feed the bees. Some bee friendly plants are dill, maple, yarrow, cosmos, Echinacea, sunflower, comfrey, elderberry, black-eyed Susan, squash, and basil. And it is important to make sure that in every season the garden offers something for our helpful insect friends. Especially, the bumblebees need continuous blooms throughout the warm seasons since they don’t store honey like the honeybees. We are talking about doing a late planting of summer squash and dill for us and the bees. Our farm is also an organic farm, which means that we don’t use any of the pesticides that may bee threatening bee populations. It is estimated that one third of the honeybee population has been wiped out since 2006 due to colony collapse disorder. No one is sure what exactly is causing the colony collapse, but many scientists now believe that some pesticides are a significant factor. So by not using insecticides in your yard and garden and buying organic foods, you can reduce that amount of pesticides that both you and the bees are exposed to. To learn about more things you can do to support bees, check out bumblebee.org. Herbal medicine is just one attribute of naturopathic medicine, but it is one of my favorites. In my mind, herbs are like friends with individual personalities. While two herbs might share some of the same activities, they can vary in their strength and their affinity for different areas of the body. I am a huge fan of both marshmallow root and slippery elm bark. Both are soothing herbs that can be used for irritated mucous membranes. Marshmallow would be the best choice for urinary irritation, while slippery elm support the digestive tract, partially because it helps feed our good bacteria. Of course, if I only had one of these two herbs, I would use the one that was handy for either issue. Herbs are also usually very gentle friends that help me keep to the naturopathic principle First Do No Harm. In fact herbs are so gentle, it can often be challenging to draw the line between medicinal herbs and food. Which of these is a medicinal herb and which a food: cinnamon, turmeric, myrrh? Most of you realized that is a trick question. Depending on the culture and the use, all three could be either. In some cultures, myrrh is added to foods as a spice despite its strong flavor. It happens to also serve the medicinal benefit of lower cholesterol while being part of those dishes. 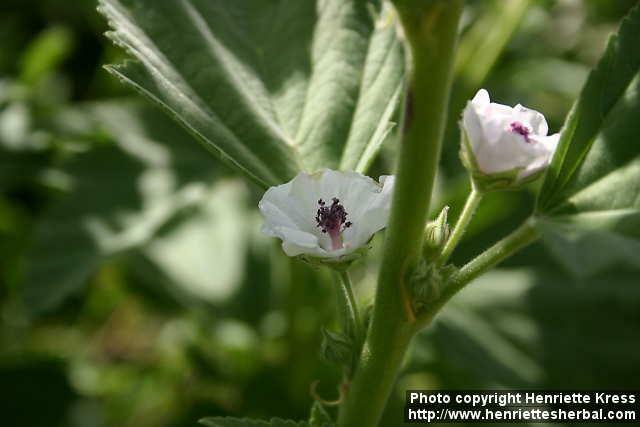 (We would use its relative Guggul in a capsule instead to reduce cholesterol.). If you asked someone in that society why it is added to the dish, they would probably say that is the way they like it. This is probably how many of our culinary spices came into common use. They are all medicinal spices that we have grown to love and expect in our everyday cooking. We often start to love foods and herbs that are good for us. When I learn a new herb, I like to understand its personality to help me remember it better. I do this by both studying and experiencing it. Start with a few herbs or even just one. Experience it in as many ways as you can, with as many senses as you can. If you can find a living plant, spend a little time observing it. This might not tell you anything about the herb, but it gives you an image and the beginnings of a personality to connect with the other things you learn about the plant. If the plant doesn’t grow nearby, find a picture of it. Smell a crushed leaf from the plant. 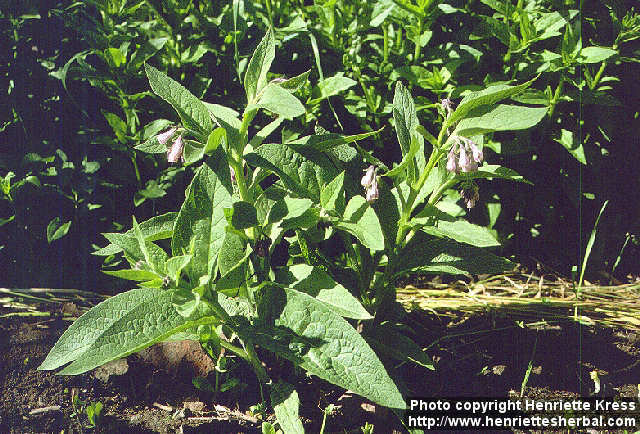 Taste a tea or tincture make from that medicinal herb. By engaging more of your senses, you are stimulating your memory on deeper levels. Sometimes the taste or smell or even appearance can help you make educated guesses about the activity of its medicinal components. I also like the scientific side of things. I review studies when available to learn what conditions my herb treats. I will review the herbal medicine books to see what medicinal actions the plant has. Ideally, my herb has more than one of the activities I am looking. For instance, Echinacea stimulates the immune system while also having some antimicrobial benefits to help fight a particular illness on two fronts. The combination of these two activities can give you a much more rounded view of your chosen herb than if you just did an Internet search for “medicinal benefits of plantain” (hopefully my last blog will show up though). Take all that you have learned to create an idea of its personality. Is it a fierce herbal warrior like the antimicrobial yarrow or is it a calming nourisher like the heart-protecting hawthorn. These stories can help you remember when to choose a particular herbal ally. I would love to hear about your experiences making new herbal friends. A new show on the History channel, Appalachian Outlaws, highlights the politics of one of this region’s most valuable herbs, American ginseng. Many of us here in the Ozarks also have a personal attachment to this medicinal plant. A good friend of mine had the ginseng patch he had nurtured for over 20 years decimated by poachers looking to make quick cash by illegally harvesting his ginseng out of season. On top of trespassing and stealing, poachers like these are endangering future ginseng harvests. There is a ginseng season, legally mandated by the state, to ensure the ginseng plants have mature seeds that can be planted in place of the roots that are harvested. 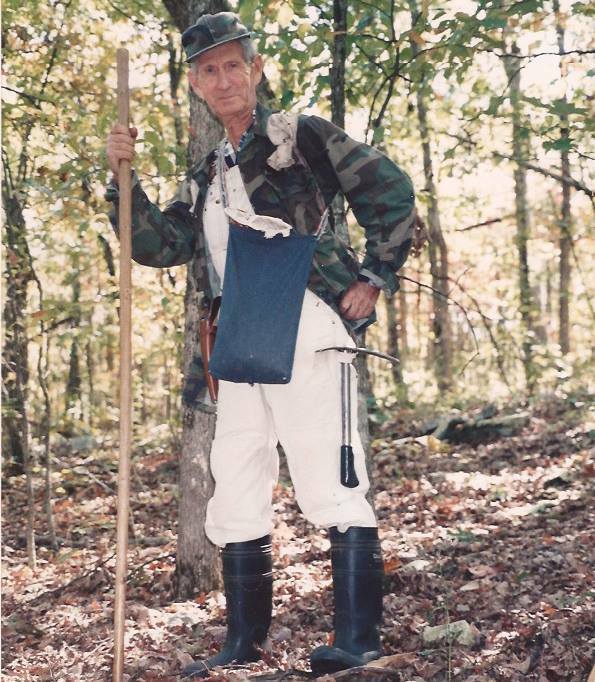 My husband’s great uncle, Lloyd Brisco, taught my husband how to ethically hunt ginseng or as he called it “sang.” Since we use the roots of ginseng, the plant is killed during harvest so either the smaller roots need to be replanted or the seeds placed in the hole left by pulling the roots. Ethical wildcrafters also don’t take every single plant. Ideally, you only harvest 1 out of every 20 plants. 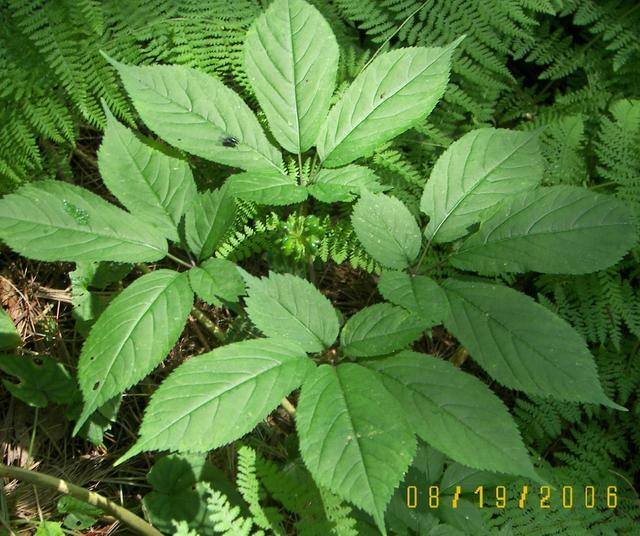 American ginseng is in such demand because it is one of the true longevity herbs. American and Korean ginseng are both known to compensate for the impact of stress on the body. They do this by modulating our cortisol levels. Ginseng can reduce elevated cortisol, which is implicated in many chronic health conditions like heart disease, diabetes, cancer, and obesity. By reducing the impact of stress, American ginseng can improve digestion and immune function. American ginseng can also help symptoms related to insufficient cortisol due to prolonged stress like fatigue and some types of depression. I find that it gives me more stamina and helps me work long days in the office and on the farm. American ginseng is also a nootropic herb that helps enhances cognitive function and memory. American ginseng is so monetarily valuable because it has these amazing medicinal benefits but takes a long time to grow and grows best in the wild. A lot of our American ginseng is exported to China and wholesale prices are on the rise, but people looking to make quick cash off the high demand for ginseng are putting this native treasure at risk. Local herb enthusiast, Madison Woods, has published a short book on Sustainable Ginseng available online as a paperback or ebook that can help people who want to grow wild-simulated ginseng on their own property. 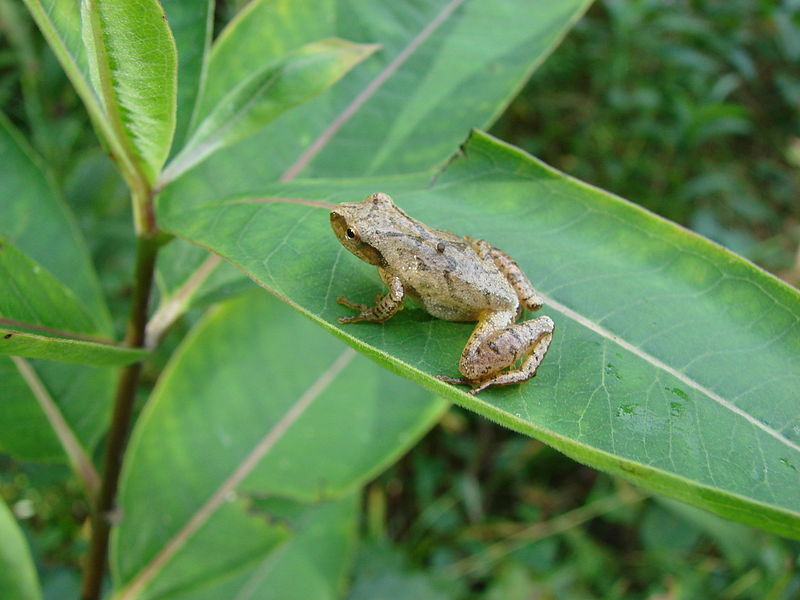 She also offers ginseng habit consultations where she personally helps you find the right wooded areas to plant ginseng for future harvest or preservation purposes. So let’s do what we can to protect this local jewel so we can continue to benefit from it for generations. The holidays can be a time to relax and enjoy time with your family. And they can be a time to run yourself ragged trying to make holiday magic happen for others. On top of this, some struggle with seasonal depression from reduced sunlight and fewer opportunities to exercise. While winter can be an enchanting time, the additional stress to take a toll on our health. Stress reduces our ability to fight off infections making us more susceptible to winter colds and flu. In addition, long-term stress can increase the risk for diabetes, ulcers, osteoporosis, certain cancers, heart attack, stroke and coronary artery disease. Stress can also contribute to mood issues such as anxiety and depression. So as the holiday season gets into full swing, it is time to come up with a plan to reduce the negative impact so you can enjoy the good parts of the season. First, give yourself some “me” time. As I mentioned in my last blog, you deserve the time to be healthy. Practice your stress coping skills. Choose what works for you and make some time for it. Laughter, journaling, reading, prayer, meditation, imagery, writing, exercise, deep breathing, cultivating positive attitudes, and physical expressions of emotions are some of the more common techniques people have found to creatively manage their stress. Try calming herbs. 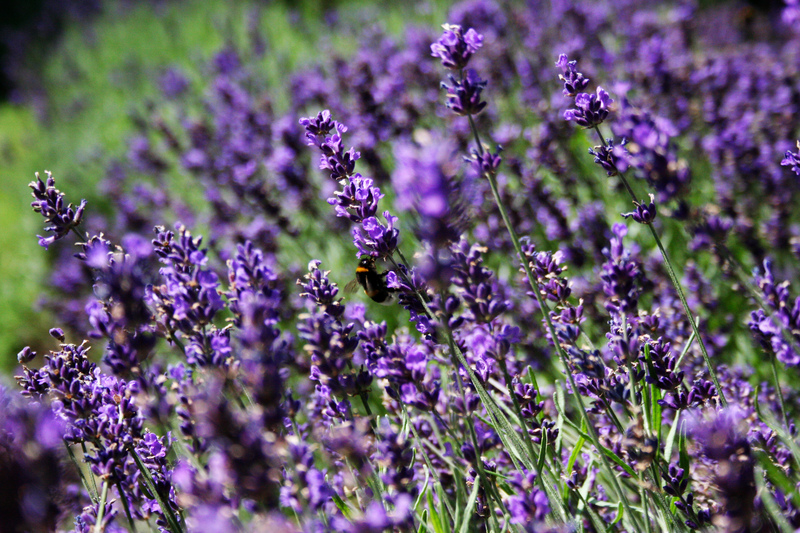 Herbs taken as supplements or teas can help calm the mind. Popular calming herbs like kava, skullcap, and California poppy can be found in capsules or liquid tinctures. Or make your own tea blends from relaxing herbs like lemon balm, catnip, passionflower, lavender, st. john’s wort, and chamomile. Mixes these together. To make the tea, place 1 teaspoon to 1 Tablespoon of the blend in one cup of water that was just boiling. Steep for 5-10 minutes, preferably covered. Strain the tea, or remove the tea ball if you were using one. Sweeten with honey or stevia if desired. You can also try your own creation. You might like it so much that you decide to share it with someone on your gift list. Include a tea ball or strainer and a recipe card so they can make more for themselves. If all else fails, buy yourself a present. It is that time of year again. The cool weather is hitting us and I have been seeing more people with colds and other contagious illnesses. One of my strategies to stay well when interacting with sick patients is to use antimicrobial essential oils like peppermint and eucalyptus. While many essential oils have antimicrobial benefits, I particularly choose these two for their additional decongestant nature. Peppermint essential oil is a very versatile and inexpensive remedy to have around for cold season as well as other times of the year. Inhaling peppermint oil can help relieve sinus pressure because of its high concentrations of menthol, which helps open up congested nasal passages. Peppermint also has analgesic and anti-inflammatory benefits so it helps ease the discomfort that comes along with sinus issues. Peppermint also helps reduce coughing so you nearly always see menthol added to cough drops. Due to its cooling action, adding 10 drops of peppermint oil to a tepid bath can also be useful for fevers or sunburns. For all times of the year, peppermint oil can be a wonderful digestive soother. Add 2-3 drops to 1-2 teaspoons of a carrier oil like almond or coconut oil and massage some of that blend on the back or tummy to reduce indigestion or nausea. Peppermint oil also works well for headaches that are related to digestive or sinus issues. Finally, inhaling peppermint oil has been shown to increase alertness as well as memory and concentration. A great essential oil to combine with peppermint during cold season is eucalyptus. 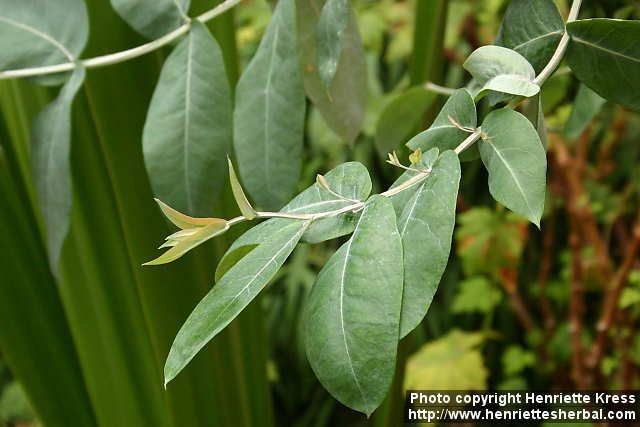 Eucalyptus is a relative of tea tree and has nearly as potent antimicrobial action as its well-known cousin. It also helps reduce inflammation in the respiratory tract. It is a popular choice for sinus congestion and bronchitis because it helps to break up mucus. Eucalyptus oil can also be a very useful headache remedy. Combined with peppermint it can be used topically for numerous issues from joint pain to repelling mosquitoes. Always dilute them with water or oil before applying to the skin. For colds, I add 5 drops of an essential oil to a boiling hot cup of water and inhale the steam for several minutes. In addition to easing respiratory symptoms, these oils can also help prevent upper respiratory tract infections. Inhale these essential oils when you have been around sick people or are travelling by plane to create your own essential oil vapor shield. 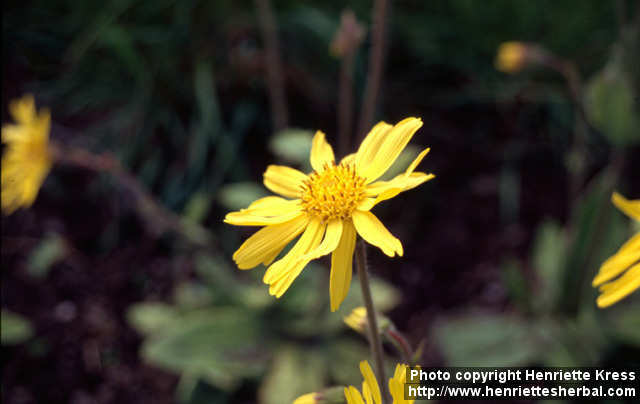 People sometimes ask me if I could grow only one medicinal herb what would it be. 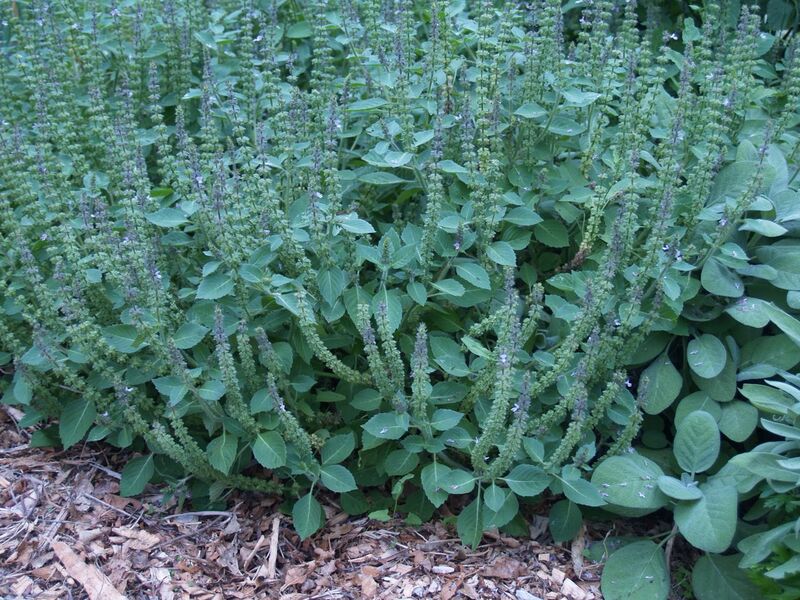 My answer is Holy Basil, because it has so many useful medicinal actions and it is very easy to grow. Holy Basil is one of the many herbs that help us cope with stress, but it is easier to work with than many of the others in this category like ginseng because we use its leaves instead of the root. And it makes a pleasant tea. Some of you might have already tried the popular teas made from Holy Basil, where it is often sold under its other name Tulsi. Holy Basil has been demonstrated to reduce the impact of stress on the body and brain. Stress can have a serious impact on our health and contribute to diabetes, high blood pressure, immune dysfunction, and memory issues. Holy Basil has been shown to counter act some of the negative changes that happen in the brain when we are exposure to prolonged stress. Holy Basil may reduce insulin resistance and thereby help lower elevated blood sugar. It can also help decrease elevated cholesterol. Holy Basil helps fight inflammation in the body and therefore pain, partially by being a COX-2 inhibitor. Holy Basil modulates immune system activity and can be a good choice for people who get frequent infections. I like to use it during cold and flu season because it has some antiviral properties too. Finally, Holy Basil is rich in antioxidants and can help protect us from cellular damage, even from radiation. To make Holy Basil tea from the loose leaves, put 1-2 teaspoons in a cup of water that just came off a boil. Steep for 5-10 minutes, preferably with a lid over the tea. Strain (if you didn’t use a tea ball), sweeten if desired, and enjoy this awesome wellness boosting, stress-fighting tea. Or try it iced. And if you want to grow your own Holy Basil plant next year, I got my seeds from High Mowing Seeds sold at Ozark Natural Foods and online. I may also be selling the plant starts next spring when I do the annual plant sale for our farm.